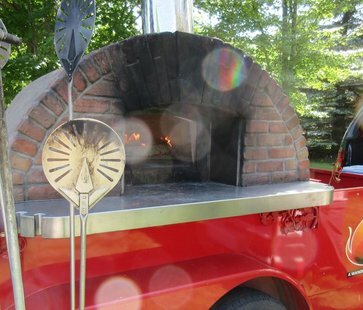 Every Wednesday night, from 5pm – 7:30pm, through September, A Wandering Fire is welcoming the public to our home base for wood fired pizza. Pay what you can, and a portion of all monies received will be donated to a different local cause each week. When you arrive, grab a number – one number per pizza. When your number is called, you get a pizza! When you are done, drop some money in a donation box if you can. It is that easy!